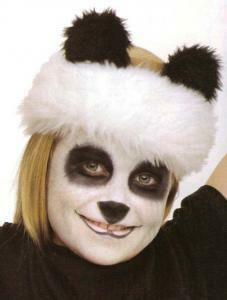 Soak the sponge in a little water and wring previously, rub in white paint and cover all over the face. 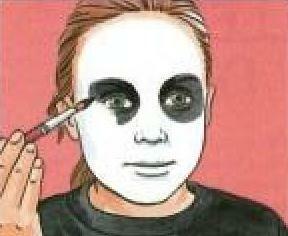 With a brush and black paint, draw two circles around your eyes. With a thin brush draw the nose and mouth as shown in picture. 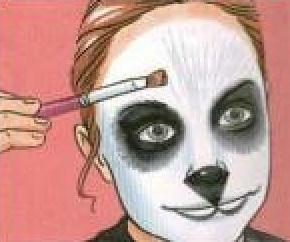 Finally, to give your skin the appearance of panda fur, to do so, draw with the brush thin gray stripes.